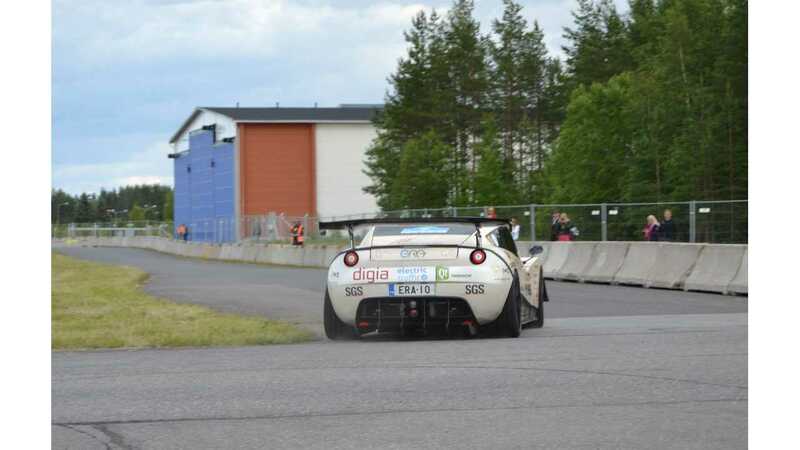 The Finnish Electric Raceabout, developed at Helsinki Metropolia University of Applied Science,s recently set another record - four years after it was first shown to the public. This time, the electric prototype with four in-wheel motors, was used to set a new top speed record for street legal electric cars. 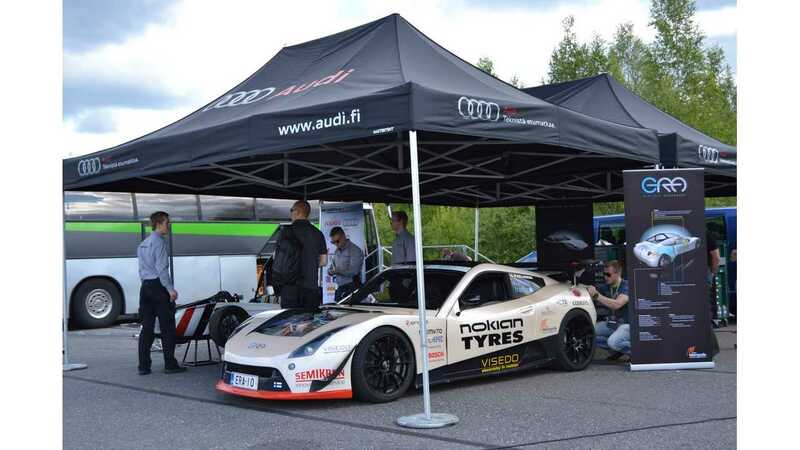 On June 28, Janne Latinen, chief test driver at Nokian Tyres, took E-RA for a spin at Ultimate Racing Speed, Motor and Music festival at Lappeenranta airport. The resulting record was 281.36 km/h (174.86 mph) - (average from two runs in opposite directions). "Janne and E-RA achieved 277,40 km/h when racing down the 2500m long runway with moderate headwind. After just turning the four motor equiped E-RA around at the end of the runway Janne rushed back setting even more impressive top speed of 285,31 km/h! This results an average top speed of 281,36 km/h (174,86 mph) for two directions." Drivetrain for this project was developed and manufactured in Finland. "The traction motors for the car were designed at Lappeenranta University of Technology in 2009 and built at local motor manufacturer AXCO Motors. Also the four inverters controlling these impressive 150 kW peak power motors come from another Lappeenranta based company called VISEDO. The fact that such a great amount of key technology comes from this city right next to the Eastern border of Finland cannot be just a coincidence, but merely reflects the true level of high-tech research and industry finding home here." "Metropolia Electric RaceAbout road legal electric vehicle top speed record. On-board video at Lappeenranta airport during Unlimited Racing event on June 28th 2014. Driver Janne Laitinen."